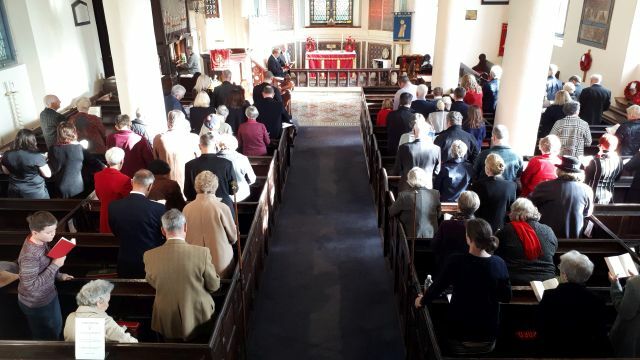 Bells rang out on a sunlit Remembrance Sunday and a large number of Church Minshull people and friends gathered at St Bart’s to remember all those who had fought in recent conflicts and commemorate the centenary of the Armistice that ended the fighting in the First World War. Tim Hough read the list of ‘the fallen’ and Jean Stockdale the lesson. As the Chimes of Big Ben rang out at 11 o’clock, all stood to observe the two minutes silence that ended with ‘The Last Post’. Wreaths were laid at village memorials to both World Wars by the church, parish council, Village Vision Group, village hall, The Badger Inn, the children of Messy and Cafe Church, the Sports and Social Committee and the ladies group. Prayers were said for peace and for our armed service personnel still in danger today. David Barrett and John Headon officiated and “PJ” Jones was in charge of the lighting and sound. 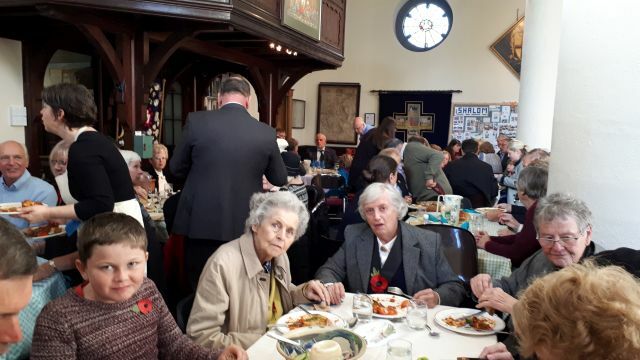 A presentation on the role of women in the First World War by Dr Jo Barrett followed the service and there was a lasagna lunch provided by Ruth Ford, Kathryn Cronin and their team of helpers which raised £370 for the British Legion. 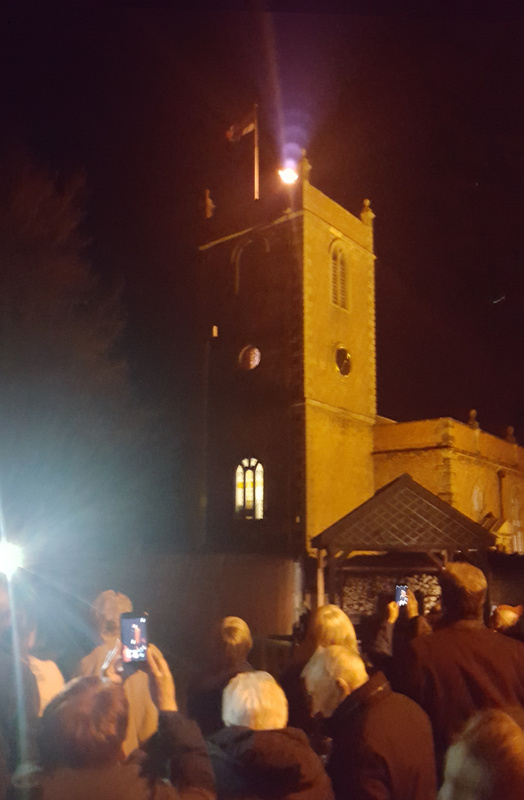 Finally, at 7pm a single bell rang a half muffle and a beacon on top of the church tower was lit, as part of the chain of beacons across the country from Westminster Abbey to all the corners and islands of the UK. 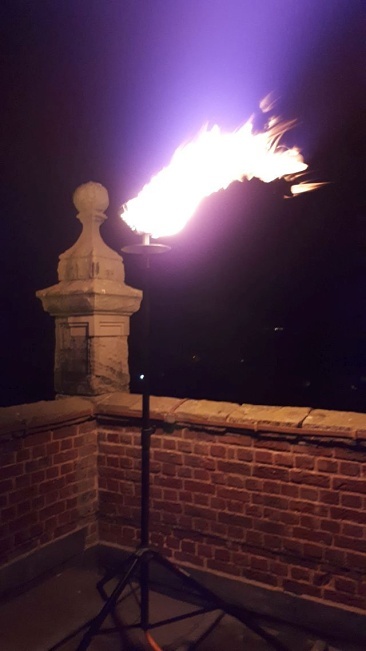 This completed the ‘Battle’s Over’ commemoration of the 1918 centenary and St Bart’s was proud to be one of the 1,000 sites chosen and thankful to The Badger who invited the mass of villagers who turned up, to view the beacon from their vantage point.